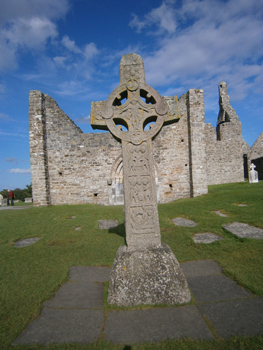 Pilgrim Walk or Cycle to Clonmacnoise from either of two starting points. Depart Clonbonny, Athlone at 10am (16km) on foot across the bog. Directions to Clonbonny: Take road by Aldi, Athlone. Keep straight to railway crossing (5km). Park up. Bring walking boots/shoes; backpack; waterproof clothing; water and picnic lunch. An Athlone Walking Club leader will conduct the walk and information on flora and fauna en route will be given by an ecologist. Bus will depart Clonmacnoise at 3.45 to Kileen’s, Shannonbridge for refreshments and onwards via Naughten’s Garage to arrive Clonbonny by 6.pm. Cost €5 ish! – depending on numbers. To book a seat phone Fred Carney on 087 212 8842.